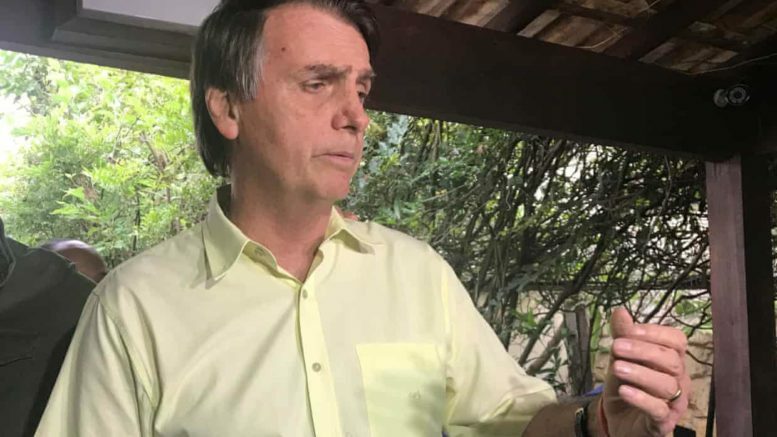 Brazil President-elect Jair Bolsonaro has reiterated that he plans to move Brazil’s embassy in Israel from Tel Aviv to Jerusalem, joining the United States and Guatemala. Netanyahu spoke to Bolsonaro earlier this week, congratulating him on his victory and inviting him to visit Israel. If Bolsonaro follows through on his pledge, Brazil would become the third country to have an embassy in Jerusalem, after the US and Guatemala. Paraguay briefly moved its embassy to Jerusalem as well, only to move it back to Tel Aviv after its new president, Mario Abdo Benítez, was elected. The Palestinians claim East Jerusalem, which was captured by Israel in the 1967 Mideast war, as the capital of a future state. Israel claims all of the city, including the eastern sector, home to Jerusalem’s most important religious sites as its eternal capital. Some Brazilians have raised concerns about the idea, saying it would hurt Brazil’s relations with Muslim nations. Former Brazilian ambassador to the US Rubens Barbosa has warned that such a move could hurt Brazil’s poultry exports. He said that Brazil “would be throwing away $6bn per year in poultry sales to Arab countries”. Be the first to comment on "Brazil president-elect Bolsonaro plans to move the embassy to Jerusalem"